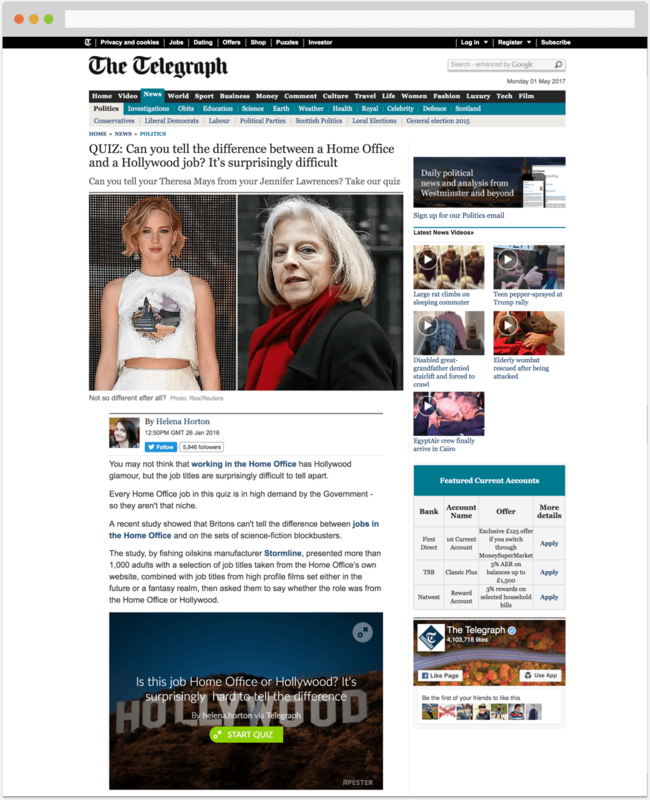 Campaign: Home Office or Hollywood? Quite a simple one. 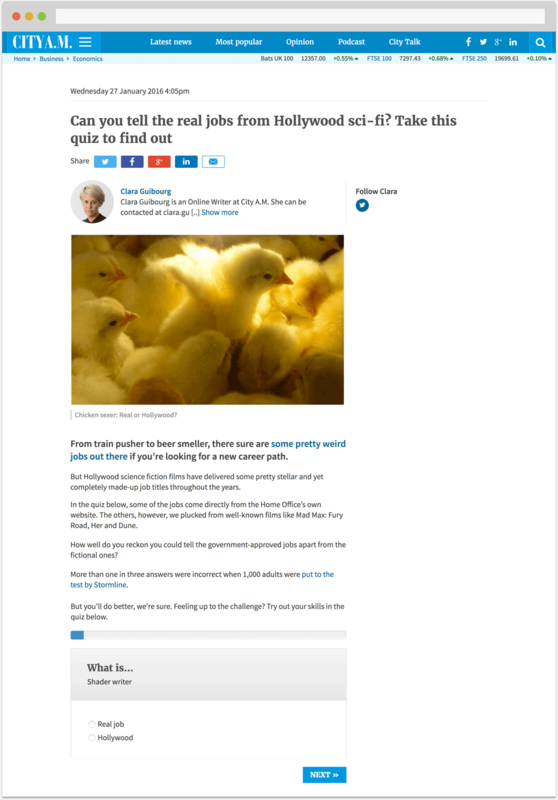 Earn more links for Stormline, one our favourite and longest-standing clients. They make high quality wet weather gear for people work in wet weather. Stormline is quite a niche brand. Unless you work in a wet environment or like to go fishing, you’re unlikely to have heard about them. One of their main competitors is Helly Hansen, who have centuries of Norwegian heritage behind them. To make Stormline stand out, earn coverage and attract links, we need to tell unusual stories. If you’ve ever been baffled by a job title, you’ll probably understand where this campaign came from. When the Home Office released its list of in-demand technical jobs, as part of a ‘Digital Skills Gap’ initiative, we noticed that many of the jobs listed sounded, well, made-up. So we put our theory to the test. A simple quiz to see if people could tell the difference between these Home Office approved job descriptions and films from Hollywood sci-fi blockbusters. The stats were just what we wanted. Most people couldn’t tell the difference. 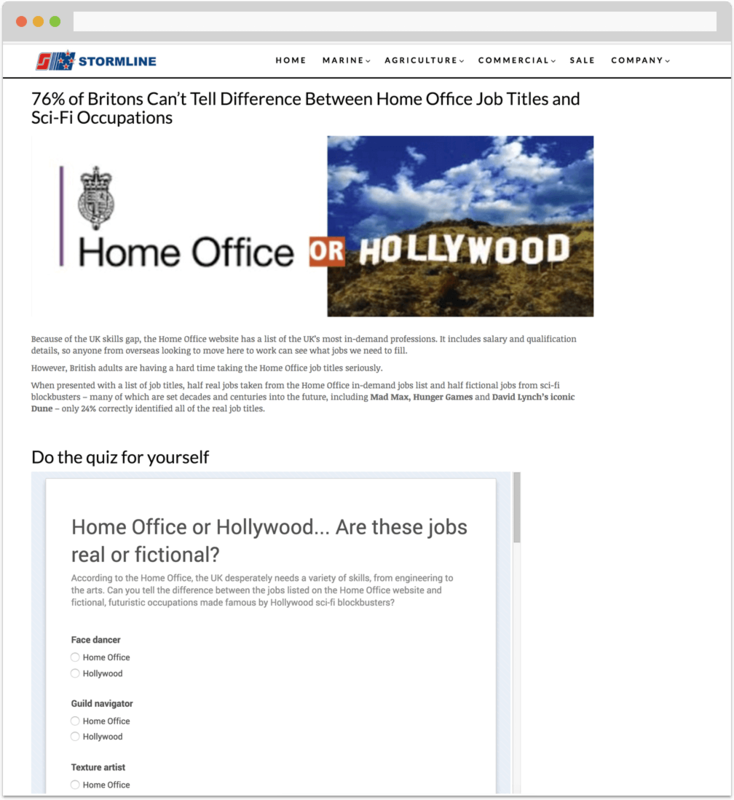 One of many great Stormline campaigns, “Home Office or Hollywood” was a fun exercise highlighted the absurdity of techie job titles. Loved by The Telegraph, City AM, Tech Digest and plenty more.